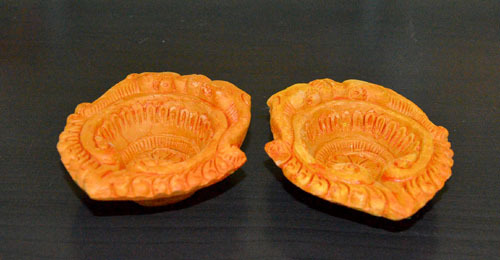 Diwali is the season of Diyas. 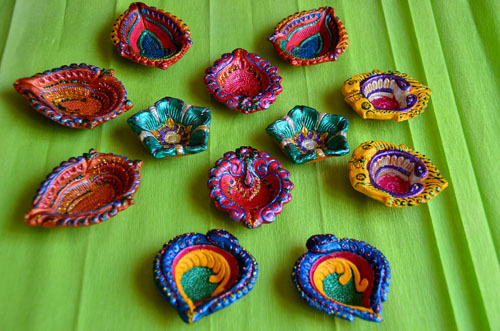 Diyas of all colours flood the marketplace. This year, i decided to make my own. So, i got some plain brown ones (the mud ones with no paint on them) and decided to decorate them myself. Any of the shops which sell diyas usually have these plain ones too. 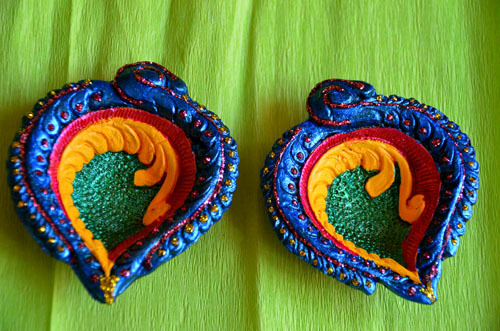 You can use acrylic colours for painting on the plain diyas. Acrylic mettalic colours can used for the shine and glitter glue for pseudo 3d effect. I got my colours from Hobby Ideas. I got around a dozen of these and tried various colour combinations. 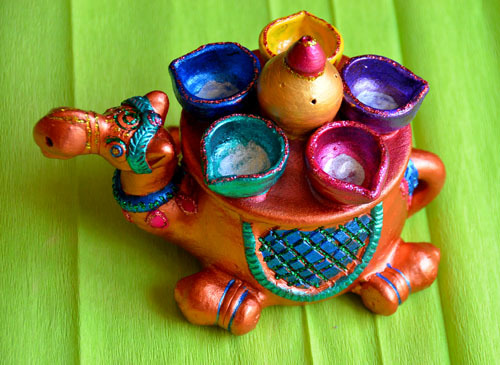 I also coloured an old camel diya set which i have used earlier in kholus. Job well done 🙂 Indistinguishable from the ones you get from the shop! Superb !!! Very Nice work and color combination is excellent. wow Vid..this is gorgeous. I too picked up some plain ones this time mainly ‘coz it was off-season 🙂 was planning on decorating them and have some idea now 🙂 .. btw did you soak them in water & dry…before this deco ? Mesmerising! You can open a boutique next time! 1.) you may coat them with bright metallic acrylic colours , line the top rim with contrast glitter glue. This will be a simple decoration. 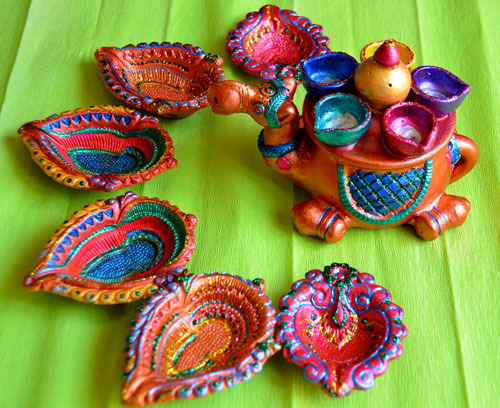 this is one of the best hand painted diyas i have ever seen ! i have soem acrylic paint at home and am tempted..